Henderson, part of the Las Vegas metropolitan area, is a city in Clark County, Nevada. With a population in excess of 270,000, it is the second largest city in the state. There are three funeral homes in Henderson, operating across the city center and the surrounding area. 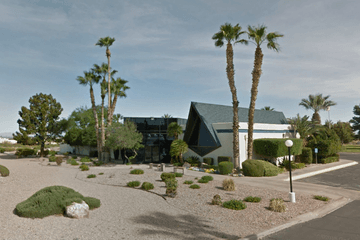 There are approximately eight crematoriums in the city, and it has several cemeteries located nearby including: King David Cemetery on East Eldorado Lane, Southern Nevada Veterans Memorial Cemetery on Veterans Memorial Drive, and Siena Hills Memory Care on West Horizon Ridge Parkway. Henderson has a wide variety of places of worship, counting among others Central Church on New Beginnings Drive, St. Francis of Assisi Catholic Church on Sunridge Heights Parkway, Midbar Kodesh Temple on Paseo Verde Parkway, and the Mosque of Islamic Society Nevada on East Desert Inn Road. In Nevada, you must file a death certificate with the registrar within three days of the death. The regulations for embalming are stricter than in other states and your funeral director will be able to advise you on this. There is no law which requires a casket, or a type of casket, for burial or for cremation. Burial on private land is possible where arranged, and there are no laws governing where ashes may be scattered. Funeral homes in Henderson will be able to advise you further regarding these regulations. Search by area or ZIP code now to find Henderson funeral homes near you. Order search results by best rated, most reviewed or nearest to quickly and easily compare funeral homes. Click on a funeral home’s profile to read customer reviews, learn more about the services they provide, and get in touch to begin making funeral arrangements for your loved one.